The Time to Schedule AC Maintenance Is Now! Temperatures may still be on the cooler side in our part of the country. In fact, we saw snow again just a short time ago. But given how warm it does and can get during the spring and summer, a fully effective air conditioner is vital for the seasonal change. 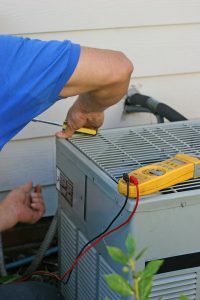 And now is the best time to arrange for an AC tune-up with a HVAC contractor in Salt Lake City, UT. Maintenance tune-ups should be scheduled twice a year—once for your cooling system and once for your heater. There are a couple small maintenance tasks you can do yourself. For example, you’ll need to change your air filter every 1-3 months depending on the level of contaminants in your home, and depending on the air filter type. But truly thorough and effective maintenance requires the services of a trained HVAC professional. Posted in HVAC Services | Comments Off on The Time to Schedule AC Maintenance Is Now! Can Plumbing Emergencies Be Prevented? 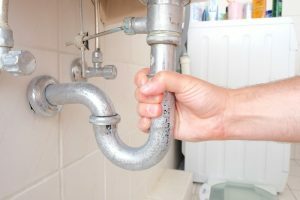 Have you ever been in a situation where you’ve needed to call an emergency plumber in Salt Lake City? Chances are, the timing and the money you spent were both pretty inconvenient. But, could that emergency have been prevented? It’s not possible to avoid any and all plumbing problems you might ever run into, but plumbing maintenance will significantly help you reduce your risk! In addition to scheduling maintenance, however, it’s important to be aware of signs that you have a small plumbing problem before it does turn into a much bigger, emergency situation. This can be hard, since most of your plumbing system is likely hidden from view, and the problems that generally impact it are subtle to start out with. We encourage you to familiarize yourself with the following warning signs that your plumbing system is struggling. The sooner you notice the signs, the sooner you can call us and potentially even avoid an emergency. Posted in Plumbing | Comments Off on Can Plumbing Emergencies Be Prevented? Upgrade Your Drinking Water with Reverse Osmosis! There are a number of Salt Lake City, UT water treatment systems on the market today that help homeowners achieve cleaner, fresher, and healthier water in their living spaces. Filtration systems help remove larger pollutants, while water softeners can be used to combat the problems with hard water. 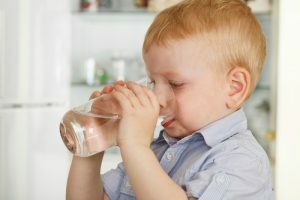 Another water treatment product that’s been growing in popularity in recent years is the reverse osmosis system. This system creates two different areas of pressure inside your plumbing in order to force the incoming water through a semi-permeable membrane. The membrane removes much smaller particles than a standard filtration system is able to, making reverse osmosis filters one of the most powerful ways to treat your water. Posted in Water Treatment | Comments Off on Upgrade Your Drinking Water with Reverse Osmosis!